NEWS FLASH! OCTOBER 2018 ~ Trish Waller has just joined KELLER WILLIAMS REALTY and their Top Producing Agents at their new location on SR 60 in Valrico! Formerly, Trish had been with RE/MAX Across The Bay and was their #1 residential listing/selling agent consecutively for the past seven years. Prior to that she had been one of locally owned Signature Realty’s Top Producers. Clients choose to work with Trish for her ethics, experience and expertise as she consistently demonstrates the ability to satisfy clients in the buying and selling of their homes. Her strong base of loyal repeat customers is the reason Trish has been so successful in this incredibly competitive sales environment. She is a welcomed and trusted member of her new Keller Williams family and an asset to all who know her. 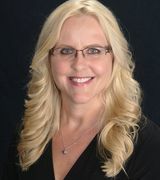 Trish’s knowledge of Southeastern Hillsborough County’s real estate market is unparalleled. Her clients have consistently sought her advice and trusted her judgment time and time again. Trish prides herself on giving all of her clients the most precise and up-to-date feedback on the market & comparable sales and property values, giving them a realistic outlook on what they can expect to achieve in today’s market. She has once again been named in the annual Top 200 Agents of Hillsborough County and remains one of Zillow.com’s Five (5) Star Premiere Agents. In addition to her extensive knowledge of Fishhawk Ranch in Lithia, Trish is also renowned for her knowledge of the Valrico, Brandon and Riverview housing markets. “There are many beautiful communities, both established and new, in these markets that I am so excited about”, Trish says. In 2011 she earned the prestigious Tampa Bay Builder Association’s Realtor Partner of the Year. All this she accomplishes being an individual agent working diligently at providing the best possible customer service to both clients and other Real Estate professionals. Trish is also certified in Military Relocations and Distressed Properties. Trish grew up in the suburbs of Philadelphia and graduated with a B.S. in Sociology from St. Joseph’s University. In 1994 she relocated to Florida and shortly thereafter started a family. In her spare time, Trish enjoys spending time with her two daughters and her beloved pups, Wiggles and Weaner. She likes to walk each day, exercise, eat right and stay fit and healthy. She loves to travel, meet new people and see new places. Copyright © 2019 Mid Florida MLS. All rights reserved. The data relating to real estate for sale on this web site comes in part from the Internet Data Exchange Program of Mid Florida MLS. Information provided is for consumer's personal, non-commercial use and may not be used for any purpose other than to identify prospective properties consumers may be interested in purchasing. RE/MAX Across the Bay participates in the MFRMLS Internet Data Exchange (IDX) program, allowing display of other MFRMLS broker's listings on this site. However may not include all listings currently available. Information is deemed reliable but not guaranteed. Information last updated at 2019-04-26 04:23:18.